In this article, I’ll show you some of the best-rated hoverboards with lights on top? We’ll discuss what these lights are for, what signals they show, and how to ensure you’re using your hoverboard the right way. First, you have to know that Hoverboards are sometimes referred to as self-balancing scooters. They use wheels to roll over the ground. Those who have experience in riding hoverboards can agree with me that it is one of the best hobbies to develop. It might, however, be hectic for beginners to use it. This is because since it relies on the pressure of the feet to start the motor, a person who has no skating experience will most likely skid and fall down in the first attempts to step on it. Unlike other skateboards, the mode of riding a hoverboard is different. You are required to face in front and accelerate it with your legs. It’s so interesting to ride a hoverboard since when you get used to it, you”ll no longer need to use your energy riding. You only need to place your legs on the board then all you need to do is maybe changing the directions. The rest of the work is done by the motor. Manufacturers are now fitting hoverboards with lights on top to make the riding game endless in nature in that, if you don’t get enough time to ride during the day, you can as well do it at night. Some are fitted with lights on top of the wheels while others have their lights fixed beside the stepping board. Hoverboard safety has been an issue of concern in the past with some even exploding and causing injuries to the riders. Fortunately, Razor Hovertax 2.0 and the other nine hoverboards in this review have passed all the safety regulations of UL 2272. Its features make it ideal for both beginners and experienced riders since you can switch it to a training mode or a regular mode as you wish. Its platform is designed to provide a firm grip to the rider’s feet to avoid slipping accidents. It has a fire resistant outer casing to make it safe. It is fitted with a Bluetooth speaker so that the rider can connect it with his/ her smartphone and listen to music as he rides. Its wheels are wide enough (6.5 inches) surface to enable it to pass through different surfaces. Its tires are 4.5 inches larger than hoverboard two-wheel adapting it to any kind of a terrain. It can support a load up to 460 pounds hence more ideal for heavyweight people. It has a Bluetooth speaker, LED lights, battery indicators, and turning indicators fit on its sides. Its stepping platform is designed to provide optimum stability to riders. 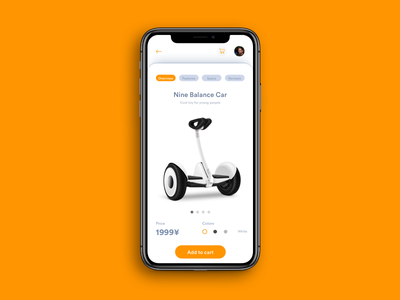 Unlike many other hoverboards, it is fitted with an app control system that allows the rider to set the driving force and steering sensitivity to his/ her comfort. You can ride on it for 10 miles non-stop. It has a fast charging battery hence after a nine- mile ride, it can be recharged quickly and continue with your ride. However, its speed limit is its biggest challenge. It’s, therefore, more suitable for children since they don’t need to ride at a high speed. It is among the best hoverboards in the market with a high-speed limit of 12mph and large tires which make it suitable for riding in rough terrains. This is an extra safe scooter certified by UL 2272. Its non-slipping foot pad makes it an ideal choice for kids. A speed limit of 6.5 mph and a range of 12.4 miles in a single charge. It is a safe hoverboard certified by UL 2272. A 9.6 mph speed limit and a powerful motor that enables it to cover up to 9 miles on a single charge. 8.5-inch tires suitable for all terrains. It, however, lacks a Bluetooth speaker thus making it lag behind the halo rover hoverboard. This is an American made hoverboard fitted with a terrain sensitivity technology that gives the rider a smooth ride in all terrains. It has a Bluetooth speaker and a mobile app.